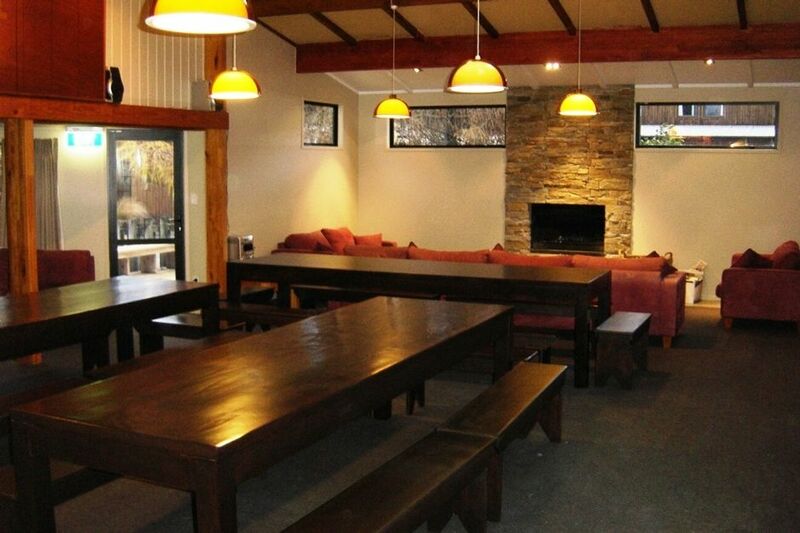 Rangatira lodge is a large, warm, comfortable ski lodge in Ohakune that sleeps up to 32 people. With a huge living and dining area, large commercial kitchen and bunkrooms, it’s perfect for big groups, school groups, sports and tramping clubs, corporate team building, conferences, weddings, family birthdays or any other reason to get a group together. Winter bookings include dinner and breakfast! We have ski storage facilities and a huge drying room to dry your gear after a wet day on the mountain. Unlucky with the weather? Watch your favourite rainy-day movies on our projector with DVD player and computer connector cables. There's also pool and foosball for the competitive ones. For the evenings, there's a drinks fridge available for use and a sweet stereo system (but remember to be mindful of our neighbours!) You can also unwind in front of our gorgeous stone fireplace. Need a pick me up to get you going in the morning? Our cafe style espresso machine will be your new best friend. From July to October, you’ll enjoy the hospitality of our lovely winter custodians who live on site and will be on hand to answer any questions you may have. There is a $500 bond for full lodge hire. This will be returned if the lodge is clean and undamaged after your stay. In a nutshell, leave the lodge how you found it. Any large damages or messes that cost more than the bond to repair will be charged to you! Great place to stay with plenty of room, great facilities, secure lock-up for our bikes, commercial kitchen with everything you need - fantastic. Brian and his family were great guests to host - very easy to communicate with and enjoyed the lodge. Great location and venue for a large family group - kitchen large with all the gear to cook for the masses. Brilliant indoor table games, and outdoor off road paths to Ohakune for bikes/walkers to keep all amused.